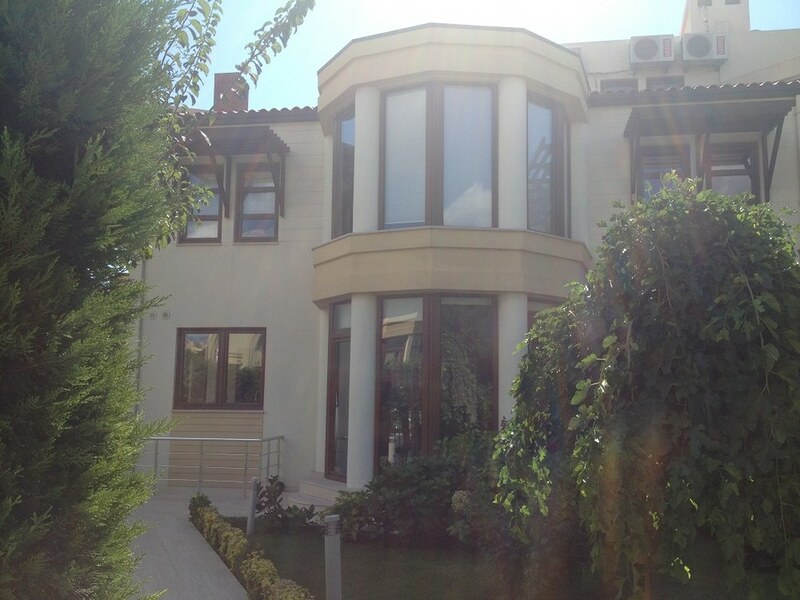 The Villa is located in the compound 65 km away from Istambul and 60 km away from Ataturk airport. 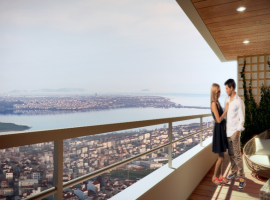 The residential complex lies on the shore of the Marmara Sea. 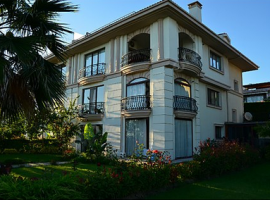 It consists of 222 villas, which are comfortably located on the well-kept green area with beautiful lawns, bridges, arbours and fountains. 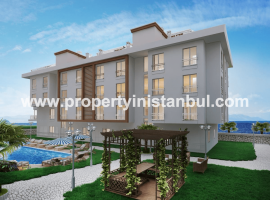 The compound provides own stable, sport grounds, courts, a small mini-golf field and excellent gym. It takes only 5 min to walk from the villa to the beach. Clean water reaches 29 degrees during the summer. Sandy beach is the property of the complex. It is equipped with chaise longues, mattresses and umbrellas. There are a pier, showers and changing rooms. A lifeguard is on duty during the day. The beach is strictly protected. There is also a café and a restaurant. The distance to the nearest mini-market is 400 meters. The compound has 24\7 security. 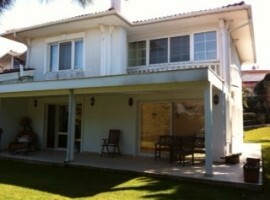 4 floors Villa in contemporary style has 475 square meters. The building was constructed in 2007. 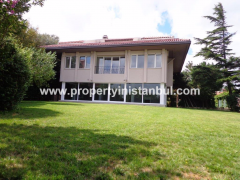 There 5 bedrooms, large salon, 4 bathrooms, kitchen, sauna, Jacuzzi, hamam. There is a private swimming pool, which holds 300 tons of water. 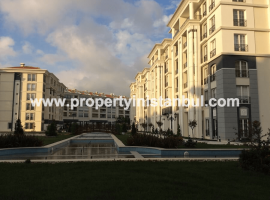 The gardening area of 800 m2 is well-groomed and provides two parking places. There is a gardener, who looks after the green area and pool. 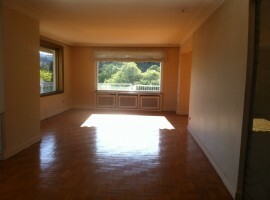 All bedrooms are newly furnitured. Living room has stylish sitting group, a dining table and chairs. Real fireplace creates comfort and warm homey atmosphere. There are three TV sets with 480 channels, theater, DVD player, 8 conditioners. Three bathrooms are equipped with shower cabins and another one – with Jacuzzi. There are all necessary modern appliances in kitchen. There are also washing machine and dryer. 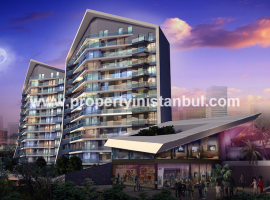 Garden terrace is an amazing place to enjoy fresh air with family or friends. There is everything for comfort: barbecue, grill, garden furniture set. The Villa has warranty service!